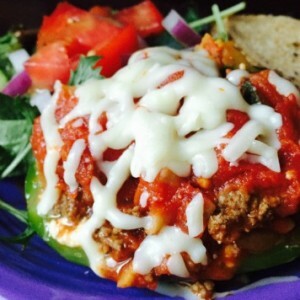 | Healthy Living Articles | Food and Meals | 5 New Recipes You Have to Try! These tasty family meals are easy on the wallet and jam-packed with good nutrition for your kids! Break out of the familiar recipe rut! Heres 5 go-to recipes you have to try. They’re familiar, they’re crowd pleasers, and they usually come together in a pinch. What’s not to love?! As a fellow “go-to” recipe girl, I appreciate having ingredients on hand for family favorites. Sometimes life can be hectic, and unfamiliar recipes can be daunting. Even so, getting stuck in a rut with the same foods can lead to poor health outcomes—especially when we rely on unhealthy meals as our tried and true favorites. 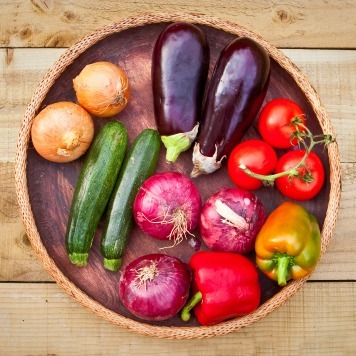 When it comes to nutrition, variety really is the spice of life, and working to add in new and healthy foods is an admirable goal for us all to aspire towards. So branch out from that favorite casserole recipe and surprise your family with some new and unusual dishes. Below are 5 non-traditional, budget-friendly, and nutrient-packed recipes that are so good they may even make it onto the dinner rotation. Bon appetite! In a separate small bowl, whisk 1 large egg. Stir in spinach mixture, ricotta cheese and ¼ tsp. of black pepper. Set mixture aside. In the same large skillet, heat 1 tbsp. of olive oil. Add in remaining minced garlic, chopped onion, summer squash and 1 lb. of lean ground beef or turkey. Sauté until onions become translucent, and meat is cooked through, beginning to brown. Pour in ½ cup of water, 1 cup elbow macaroni, and 2.5 cups of marinara sauce. Cook over medium/high heat for 3 minutes until liquid has slightly reduced. Macaroni should still be firm. While macaroni mixture is cooking, cut each pepper in half, length-wise. Scoop out seeds and membranes. Stuff the bottoms of the 8 pepper halves evenly with the ricotta cheese mixture. Spoon meat and pasta mixture over the ricotta cheese. Peppers should be stuffed 1-2 inches above their edge. Place in the large skillet and pour remaining marinara sauce over the peppers. Simmer over medium-low heat for 25 minutes. Sprinkle tops of peppers with 1 tbsp. of grated mozzarella cheese. Cook an additional 3 minutes until cheese has melted. Serve with a fresh green salad and a slice of whole wheat French bread. Pierce scrubbed and washed sweet potatoes with a fork. Place all sweet potatoes in the microwave on a microwave safe plate. Microwave on high for 6 minutes. Potatoes should be softened, but not completely tender. Slice sweet potatoes into long, 1 inch thick wedges. Toss with 1 tbsp. of olive oil, 1 tbsp. chili powder, and 1 tsp. cumin. Lay sweet potato wedges on a baking sheet, making sure that each wedge is not touching other slices. Bake for 10 minutes, then flip wedges over and bake an additional 10 minutes. As sweet potato wedges are baking, heat a large skillet over medium-high heat. Add in 1 tbsp. olive oil, minced garlic, chopped onion, sliced bell pepper, black beans, 1 tbsp. chili powder, 1 tsp. cumin, ½ tsp. salt, and frozen corn. Sauté until onions are translucent, and peppers have softened. Remove sweet potato wedges from oven and sprinkle with ½-1 tsp. of salt. Place wedges in an oven-safe casserole dish topped with bean mixture and cheese. Broil until cheese is melted and bubbling. 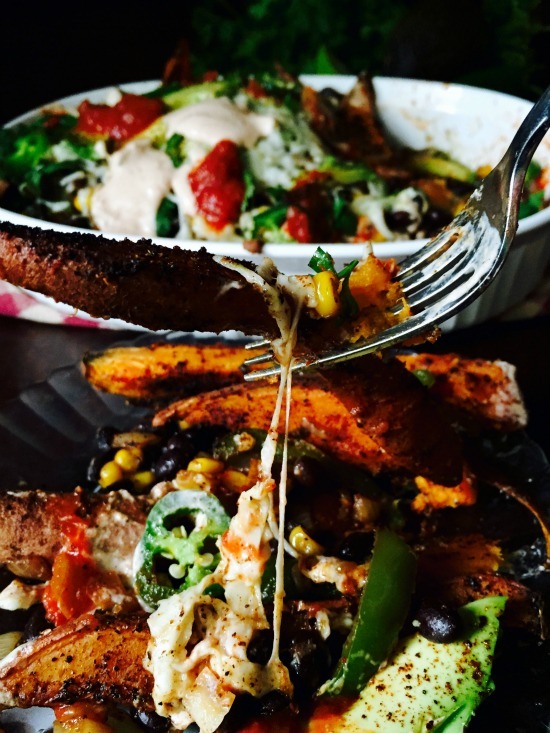 Serve loaded baked sweet potato fries with prepared salsa. Optional: top with diced avocado, sliced fresh jalapeno peppers, a squeeze of lime juice, and fresh chopped cilantro. Heat large skillet over medium/high heat. Add 1 tbsp. of olive oil, minced garlic and chopped spinach. Sauté for 2 minutes. Divide cooked spinach evenly between 5 whole wheat flour tortillas. Top each tortilla with ¼ cup of reduced fat feta cheese. Fold tortilla in half, making a half moon with cheese and spinach mixture in the middle. Place folded tortillas onto a griddle pan or large skillet over medium high heat. Cook for 2 minutes per side until tortillas begin to brown and cheese is melted. Slice into triangles and serve. Serving suggestion: Serve with hummus, pesto, or marinara sauce for a dip. This dish pairs nicely with marinated tomatoes. Simply slice fresh tomatoes and toss with your favorite light vinaigrette dressing for a quick side dish. Sauté diced red onion with garlic, corn, cumin, and chili powder until onions are cooked through and translucent. Remove corn and onion mixture from the pan. In a separate bowl, mash pinto beans together with 1 large beaten egg. Stir in onion and corn mixture, shredded zucchini, quick-cooking oats, and salt and pepper to taste. Form the mixture into 4-6 oz. patties. Heat 2 tbsp. of oil in a non-stick pan over medium-high heat. Cook patties for 3 minutes per side, until browned. While patties are cooking, whisk together 8 oz. of non-fat Greek yogurt with 2-3 tsp. of chipotle peppers in adobo sauce. 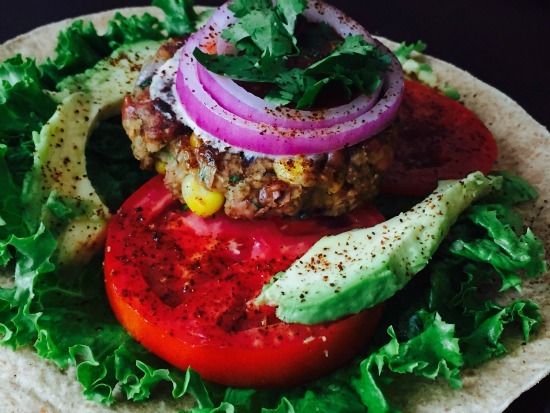 Serve patties in warm whole wheat flour tortillas, topped with yogurt chipotle sauce, lettuce, tomatoes, avocado, and onion, if desired. Spread 2 tbsp. prepared hummus onto each whole wheat pita bread. Top with sliced cucumbers, diced tomatoes, red onion, olives, reduced fat feta cheese, and fresh herbs like dill or parsley. 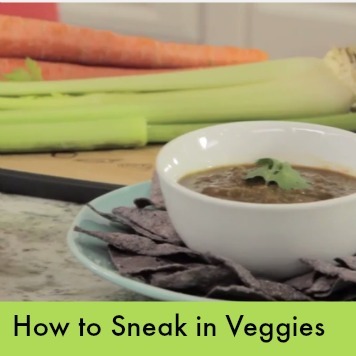 Helpful Tip: This is a great recipe for kids to make themselves. 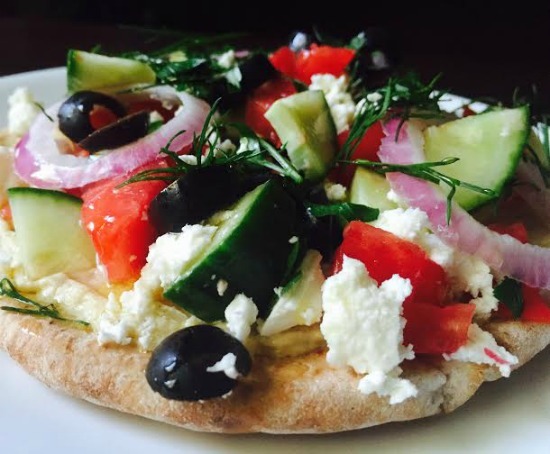 Let your children assemble their own Greek pita pizza, where they pick and choose their favorite toppings. 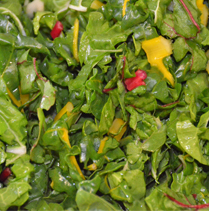 To mix things up, try adding in spinach, artichokes, sun dried tomatoes, and prepared pesto. Make it more kid friendly by making standard cheese pizzas with reduced fat cheese and marinara sauce. Just bake them in the oven at 350 degrees F. for 10-15 minutes to melt the cheese and warm the “crust”. 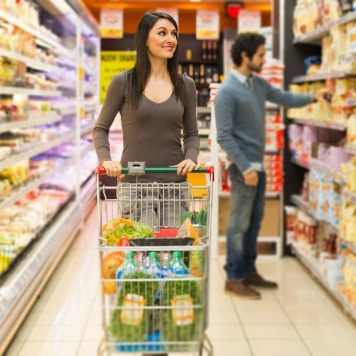 Now that you have some great meals – get real-life tips on solving food dilemmas.